Against the backdrop of the Milan Furniture Fair, Spazio Rossana Orlandi, in Milan (Italy), was the chosen setting for the presentation of the creations in The Fantasy collection by Jaime Hayon. A series of original pieces based on fantasy, illusion and innovation. These concepts, core values of the philosophy of the porcelain brand from Valencia, are now combined with the personal style of the Spanish designer Jaime Hayon and his original conception of artistic creation. The studied combination of Lladró’s usual themes and the magic of the unexpected that Hayon is known for, make these pieces truly original objects that, over and above their decorative potential, awaken a sense of fantasy in the beholder. 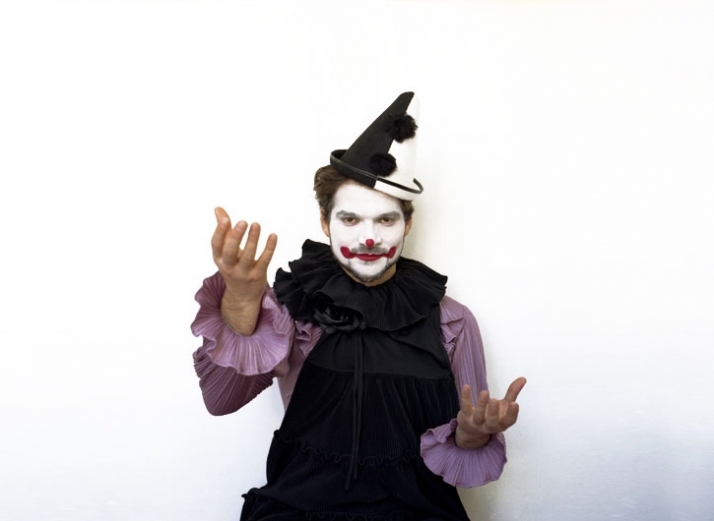 As the artist himself claimed, “it is a positive cross-pollination of my world and that of Lladró”. For this reason, both parties have spoken of a “perfect fusion” between the maximum expression of what can be achieved in porcelain and the touches of fantasy coming from Hayon’s own personal world. The Fantasy combines Lladró’s usual themes with the magic of the unexpected Hayón is known for. The obvious references to love, the family, childhood or the magic of the circus are coupled with the expressiveness of the decoration, further enhanced with the use of the reds, blues and turquoises created especially for the collection. Elements like the shoes, the original octagonal bases and even the candles for the candleholders, have been decorated specifically in the same colors. And it is this perfect balance between expression and function that makes these pieces from The Fantasy such highly prized objects which, over and above their decorative potential, awaken the fantasy of lovers of our brand. The Fantasy is, in short, a “positive cross-pollination” of Hayón’s world with Lladró, as the designer put it himself. One can speak of a “perfect fusion” between the brand’s porcelains and Hayon’s touches of fantasy. In fact, he has even introduced elements from his past repertoire, like the cactus or the Green Chicken. 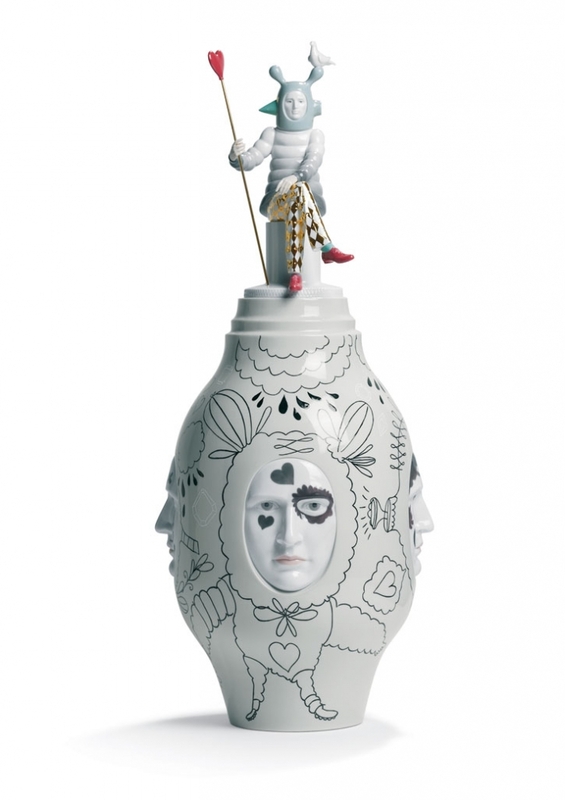 In this recreation of his own works, Hayón demonstrates his admiration for the infinite potential of Lladró porcelains. 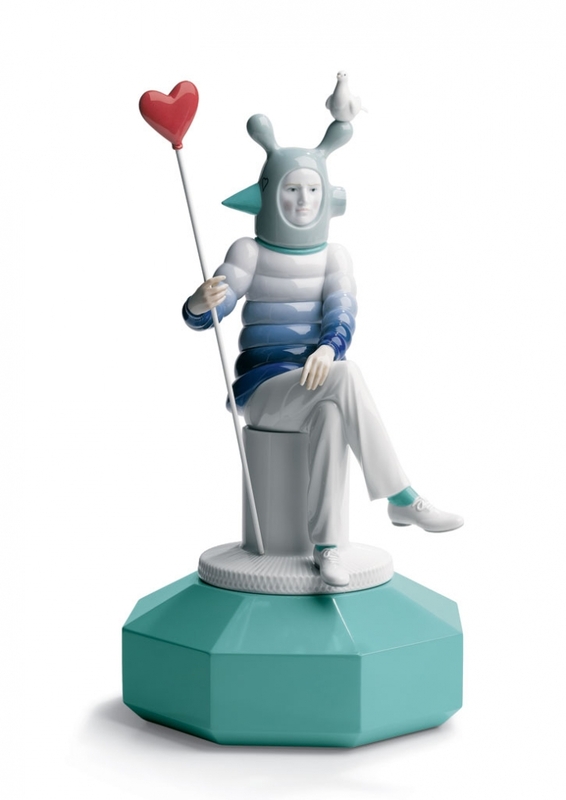 Like all the pieces in The Fantasy, this series is based on the fusion between one of Lladró’s core themes, in this case love, and the playfulness and fantasy Jaime Hayon brings to his designs. With its elegance and unhurried attitude, this character expresses the ideal of balance in love. 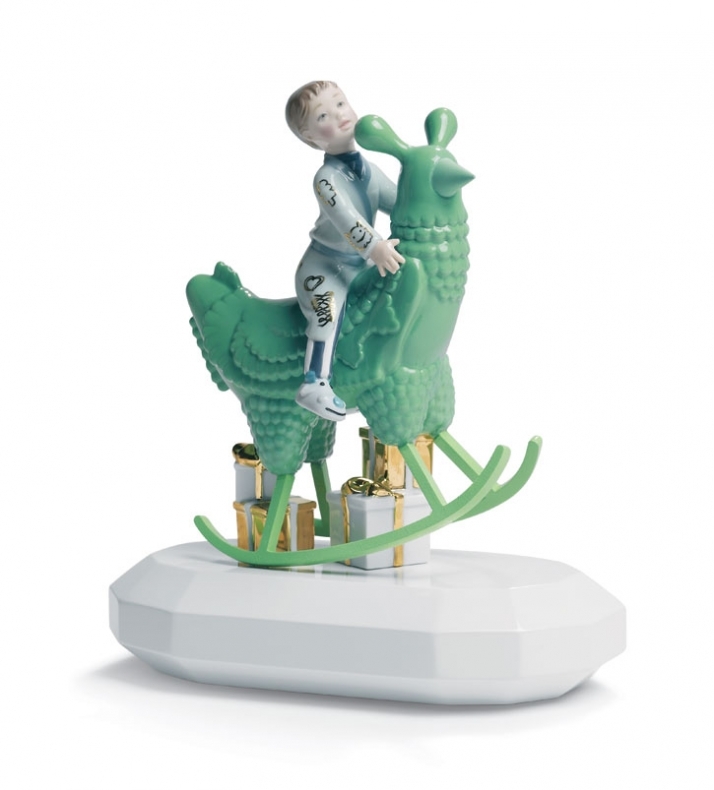 As Hayon puts it, “this figurine is outstanding for its style, its class, making it step over the boundary of the purely decorative to show a modern and balanced love in its futuristic and organic design”. For this collection Lladró has created new purer colors, which can be seen in these pieces in the red of the heart and the shoes, as well as in the turquoise and blue of the original octagonal bases. Furthermore, these creations incorporate a key element in Hayon’s iconography, which are the shoes he has designed for the Spanish brand Camper. 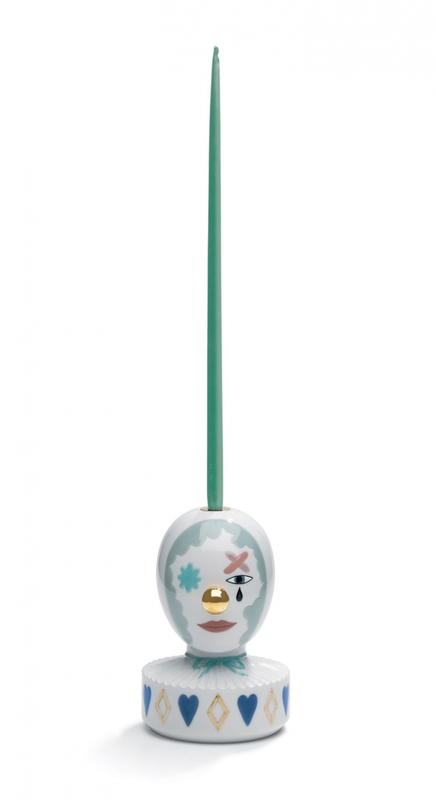 The bright colors and the combination of matt and gloss finishes bring the playful touch for which Hayon is famous. An interesting aside: the character in the series The Lover is wearing the shoes Hayón designed for Camper, which was one of the reasons why the two brands planned a joint event. The Masquerade I, II & III The world of the circus and the charm of Japanese toys were taken as the starting point for the creation of these original candleholders, which will also be adapted in the near future as vases. An excellent example of how the world of the imagination, of the unexpected, of the surprising, impregnates the creations in The Fantasy and transforms them into objects which, over and above their decorative potential, evoke sensations and feelings. In this case, the memory of childhood, a time of fantasy, is combined with the functionality of the object as a candleholder. The expressiveness of the decoration is further enhanced with the use of the reds, blues and turquoises created especially for the collection. The candles themselves have also been made specifically in the same colors as the piece. And it is this perfect balance between expression and function that makes these pieces such highly prized objects. of porcelain. Given its size, one could well say that this vase is a sculpture in itself. What is truly outstanding in this object, more than the function, is the expressiveness achieved in the decoration. The expressive strength is transmitted by the faces of the vase, in which four faces communicate among each other as they tell a story of fantasy, magic and splendor. The Family Portrait An admirable example of the positive cross-pollination of Hayon’s style in a creation based on one of Lladró’s fundamental themes: the family. This family scene is conceived as a microcosm in which everything is minutely studied, as if it were a scene from a movie. Each detail has been focused on individually, extracting the maximum meaning. The furniture, the clothing… everything has something to say. Each element is designed specifically to narrate a story where the decoration is put at the service of the feelings each character conveys. Once again, the expressiveness of the Japanese toys was the source of inspiration for a piece that ties in with the world of collecting. 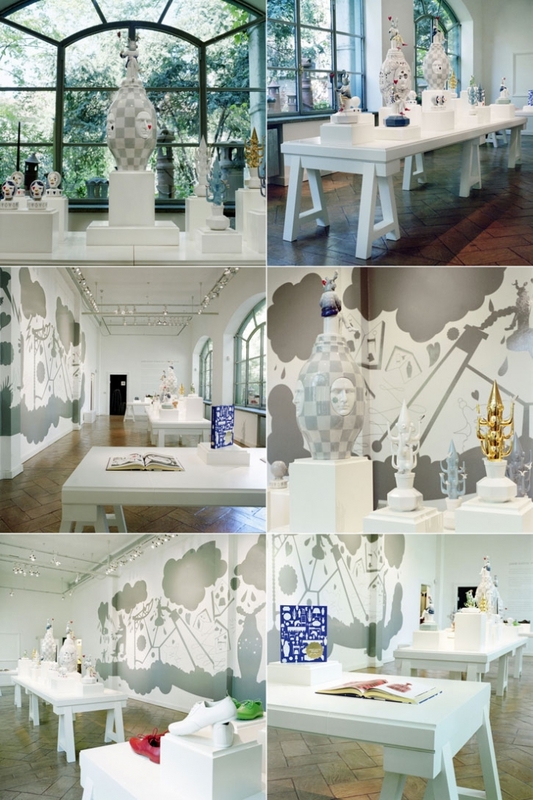 In short, as Hayon maintains, “it is a fantasy fusion that underscores the infinite possibilities of porcelain”. The Rocking Chicken Ride This is unquestionably one of the most original pieces in the collection. Based on a symbolic element in Jaime Hayon’s career, the Green Chicken, this creation is a mix of surrealism and humor, a nod to pure fantasy. Childhood, one of the core values in Lladró’s catalogue, is shown to us as a world in which everything is possible. The unexpected element is this green chicken which we are surprised to see in Lladró. In fact, Lladró had to create a new color in its corporate palette specifically for this piece. This fusion of a universal value and a groundbreaking design is why “this piece awakens the fantasy of the beholder” as Hayon explained. 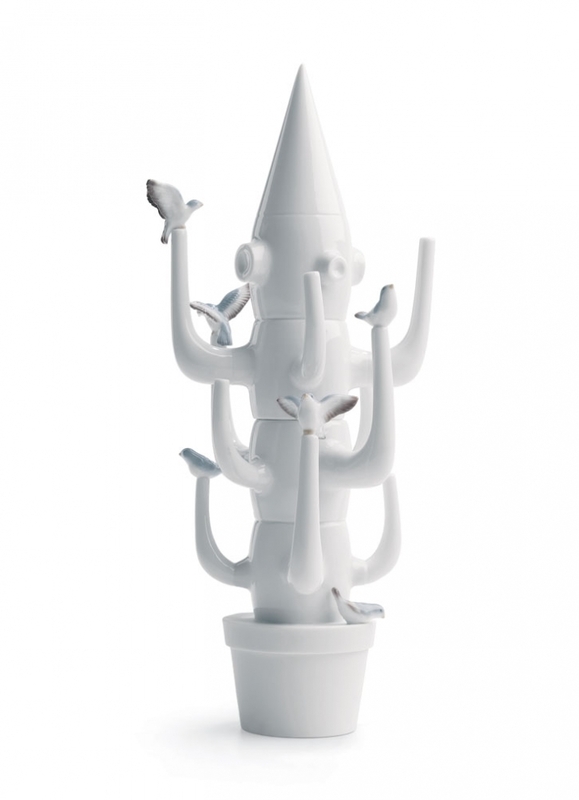 Similarly to the previous creation, this piece is also based on one of Jaime Hayon’s seminal icons, a cactus whose design marked a before and after in his career. A composition to which he adds birds, a representative element of Lladró’s work. for the infinite possibilities of its porcelains. Once again, the fusion between the playful touch of Hayon and the perfect finishing of Lladró gives rise to original creations in which each decorative element was carefully studied.